The wellbeing of your smile can actually affect your entire body – when it’s healthy, the rest of you is healthier as well! Unfortunately, while not as widespread as it was in previous generations, tooth loss is still a real problem among older patients. 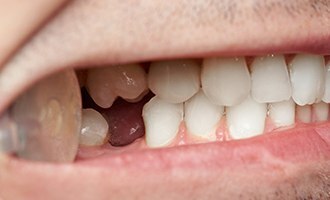 Not only do these gaps make eating and chewing more difficult, but they harm your sense of self-confidence as well. In fact, new studies have shown a clear link between sustained tooth loss and a reduced life expectancy. At J.B. Dental, Dr. Joanne Bancroft is here to help patients with incomplete smiles explore their options for replacement. Every person is different, and we want you to know that the right path forward for you is waiting in the wings! Explore them in greater detail below, and don’t hesitate to contact us if you’d like to schedule a visit here in Westminster, CO. Many people choose simply not to act when faced with tooth loss. “It’s just one or two teeth,” they say. “I won’t even realize they’re gone.” While this may be true early on, gradually worsening consequences are sure to follow in the future. Without a functioning tooth root in place, the jawbone will deteriorate over time, becoming less dense and weaker. Patients may also find it harder to chew and speak clearly. Worst of all, the lack of certain teeth will place more daily strain on those that remain, which increases the chances of experiencing additional tooth loss in the future. Dental crowns by themselves are designed to restore natural teeth that are badly damaged, infected, incomplete, or otherwise harmed. They can also be combined into a customized bridge, which is meant to literally “bridge” the gap left by one missing tooth or multiple missing teeth that once appeared in a row together. Traditionally, bridges relied on crowns to hold them in place by attaching to adjacent healthy teeth. If the nearby natural teeth are incapable of offering this support, pairing the bridge with dental implants is a much more stable and lasting alternative. 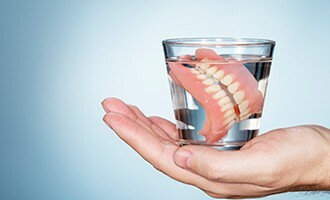 Dentures are the oldest form of tooth replacement by far, and many patients still choose to rely on them for convenience and affordability’s sake. Thankfully, today’s prosthetics are much more attractive and stable than ever before! 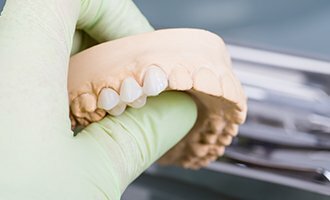 Dr. Bancroft will help you find the perfect match for your unique restorative needs – for instance, a complete denture will replace an entire arch of teeth, while partials can fill gaps without harming the natural teeth that remain. Dentures can also rest on top of the gum line or be anchored in place with state-of-the-art dental implants. 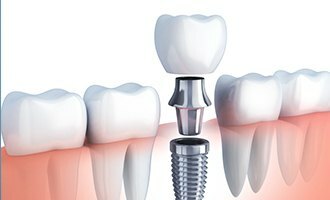 While it isn’t possible to turn back the clock on tooth loss, dental implants come very close to making this goal a reality. Unlike more traditional services, they actually rebuild EVERY part of the natural tooth, including the root that’s well-hidden below the gum tissue. The final result is durably functional, seamlessly attractive, and wholeheartedly beneficial for the patient’s ongoing oral health. Better yet, Dr. Bancroft is happy to offer every stage of treatment right here in-office!